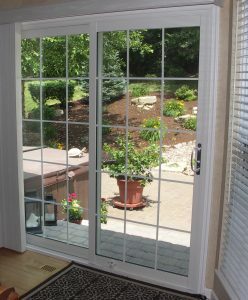 Patio Doors by Dalco Home Remodeling are available in Sliding and Swing styles. All manufactured to give years of performance defining quality, technology and innovation. The very best in quality craftsmanship, created for your home and endorsed by our commitment to excellence. Multi chambered design for optimum energy efficiency. 12 standard exterior coatings & 2 interiors colors. Impervious to rot, rust, flaking or peeling. Aluminum screen with fiberglass mesh. Hardware upgrades in three color choices. Welded sash and outer frames. 1″ warm edge insulated tempered glass. Treated wood reinforced master frame for optimum strength. Monorail with adjustable tandem rollers for smooth gliding. Interlocking rails to prevent drafts. 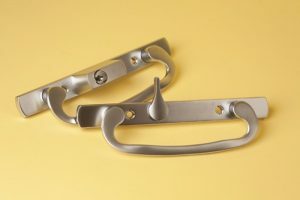 Handle set with keyed lock. Anti lift blocks for added security. Standard colors: 2 interior, 12 exterior. Composite frame, prevents rot and rust. 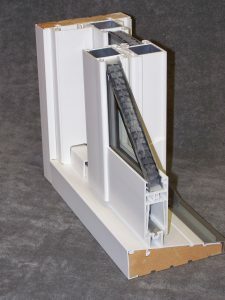 White or sandstone sliding screen. Two tone paint and stain options. Weather sealed to prevent wind and rain infiltration. Warp, cracking, and corrosion resistant. Both our Series 300 Steel and Fiberglass patio doors come with a full range of options to customize your new door for your specific decor. Internal grids and blinds, selection of hardware colors, Low-E energy efficient saving glass, and custom paint.